Flutters about, leaves behind a trail of sparkling white dust. I gotta give this Moth Props, amazing against squatic, fast and poweful. And he's actually pretty (for a moth) the graphics on here don't give this pet Justice at all. He has a pretty glow about him when you use him in the game! Try and see! 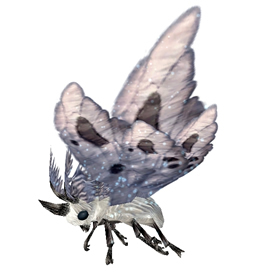 can anyone explain why this moth shows 400+ speed but when you capure it it bumbs down to 289 max ? I hate moths! I hate fighting moths! With that said it took me a few hours to catch a rare. I did find a rare flamering moth as a pigback pet while trying to get this rare so that was awesome! This is the most common moth on the isle. found my rare and another straight afta that i held onto until a mate got there. 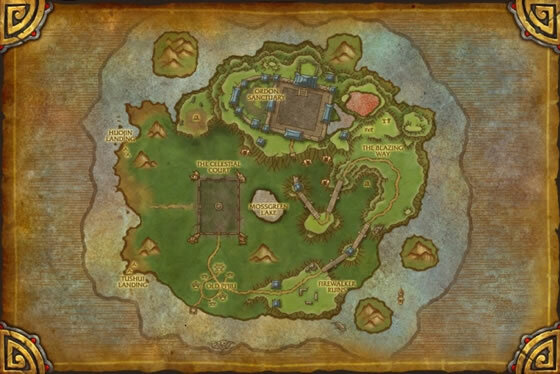 Not too hard to find when you explore the Timeless Isle. I got a rare after five pet battles. Listed on map as "Only found as an added pet (may join battle)". As of 5.4 They are in abundance around the Island. Jinyu assassins employ this moth as both a portable decoy and a light source to reveal weak spots in their enemy's armor.